Continental Carbon will be exhibiting at TEXAS WATER 2019 in Houston, Texas from April 2nd to April 4th, 2019. 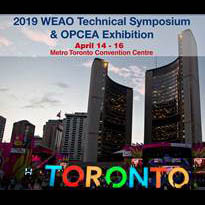 Continental Carbon will be exhibiting at WEAO Technical Symposium /OPCEA Exhibition in Toronto, ON from April 15th to April 16th, 2019. Continental Carbon will be exhibiting at OWWA (Ontario Water Works Association) in Ottawa, ON from May 6th to May 8th 2019. Continental Carbon will be exhibiting at IWA YWP 2019 in Toronto from June 23rd to June 27th, 2019. Customers throughout  North America agree  that Continental Carbon Group offers a valuable combination of products, services and expertise in the air and water treatment industries. In addition to being exceptionally strong in each of these critical areas, we are also known for having talented, resourceful professionals and skilled, dedicated crews – all of whom share a keen understanding of the responsibility we have for ensuring our customer’s satisfaction and protecting the environment. Carbon is the earth's most abundant element. The most common sources of carbon are coal, coconut shell, wood, peat, and lignite. Coal, coconut shell and wood are the principal raw materials used in the manufacture of activated carbons. 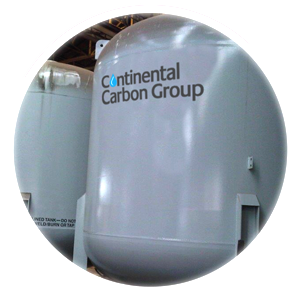 The raw materials that Continental Carbon Group uses for activated carbon are carefully selected and then processed at temperatures of 200° - 300° C to remove natural volatile, components and residual moisture levels. This is the initial "carbonization" stop. Next, the carbonized raw material is heated at extreme temperatures for 900° - 1,000° C. The resulting activated carbon is a powerful adsorbent with an internal core structure having sizes of nuclear dimensions. A teaspoon of activated carbon has a surface area equivalent to that of a football field. This vast internal surface are is what gives activated carbon its unique ability to adsorb a wide range of compounds from both the gas and liquid phases. We carry a wide range of media for air and water filtration.